Of the group's Research Themes, I am involved with Bayesian modelling and analysis, Monte Carlo methods and nonparametric regression. Some of my papers, particularly more recent ones, can be found on the ArXiv. Conjugate generalized linear mixed models for clustered data, by Jarod Y.L. Lee, Peter J. Green, Louise M. Ryan (2017) (pdf). On ArXiv: https://arxiv.org/abs/1709.06288. On the "Poisson Trick" and its Extensions for Fitting Multinomial Regression Models, by Jarod Y.L. Lee, Peter J. Green, Louise M. Ryan (2017) (pdf). On ArXiv: http://arxiv.org/abs/1707.08538. Introduction to finite mixtures, by Peter J. Green (2017). On ArXiv: http://arxiv.org/abs/1705.01505. An introductory chapter prepared for the forthcoming Handbook of Mixture Analysis. Bayesian protein sequence and structure alignment, by Christopher J. Fallaize, Peter J. Green, Kanti V. Mardia and Stuart Barber (2014). On ArXiv: http://arxiv.org/abs/1404.1556. Consistency and efficiency of Bayesian estimators in generalised linear inverse problems, by Natalia Bochkina and Peter J. Green (2012). On ArXiv: http://arxiv.org/abs/1110.3015. A structural Markov property for decomposable graph laws that allows control of clique intersections, by Peter J. Green and Alun Thomas, Biometrika. On ArXiv: http://arxiv.org/abs/1705.00554. Paternity testing and other inference about relationships from DNA mixtures, by Peter J. Green and Julia Mortera (revised January 2017). Forensic Science International: Genetics. http://dx.doi.org/10.1016/j.fsigen.2017.02.001. On ArXiv: http://arxiv.org/abs/1609.09638. MAD-Bayes matching and alignment for labelled and unlabelled configurations, by Peter J. Green (2015). In Geometry driven statistics, edited by Ian L. Dryden and John T. Kent, chapter 19, pp 377-390. Wiley, Chichester. Bayesian computation: a summary of the current state, and samples backwards and forwards, by Peter J. Green, Krzysztof Łatuszyński, Marcelo Pereyra and Christian P. Robert. Statistics and Computing, 25, 835-862 (2015) (open access). doi: 10.1007/s11222-015-9574-5. On ArXiv: http://arxiv.org/abs/1502.01148. Discussion of paper by Cowell, Graversen, Lauritzen and Mortera, Applied Statistics 64, Part 1, page 41 (2015). Sampling decomposable graphs using a Markov chain on junction trees, by Peter J. Green and Alun Thomas (2013). Biometrika, 100 (1): 91-110; doi: 10.1093/biomet/ass052. On ArXiv: http://arxiv.org/abs/1104.4079. Logicoil: Multi-state prediction of coiled-coil oligomeric state, by Thomas. L. Vincent, Peter J. Green and Derek N. Woolfson (2013). Bioinformatics, 29, 69-76, doi: 10.1093/bioinformatics/bts648 . SCORER 2.0: An algorithm for distinguishing parallel dimeric and trimeric coiled-coil sequences, by Craig Armstrong, Thomas Vincent, Dek Woolfson and Peter J. Green (2011). Bioinformatics 27 (14): 1908-1914; doi: 10.1093/bioinformatics/btr299. Abstract. Colouring and breaking sticks: random distributions and heterogeneous clustering, by Peter J. Green (2010). In Probability and Mathematical Genetics: Papers in Honour of Sir John Kingman, edited by N. H. Bingham and C. M. Goldie, chapter 13, pages 319-344, Cambridge University Press. 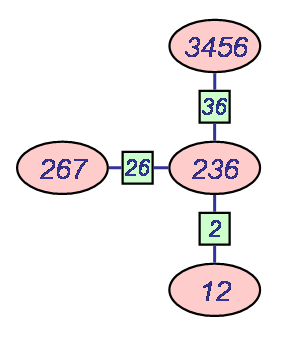 Enumerating the junction trees of a decomposable graph, by Alun Thomas and Peter J. Green (2009). Journal of Computational and Graphical Statistics, 18, 930-940; doi: 10.1198/jcgs.2009.07129. Enumerating the decomposable neighbours of a decomposable graph under a simple perturbation scheme, by Alun Thomas and Peter J. Green (2009). Computational Statistics and Data Analysis, 53, 1232-1238; doi: 10.1016/j.csda.2008.10.029. Sensitivity of inferences in forensic genetics to assumptions about founding genes, by Peter J. Green and Julia Mortera (2009), Annals of Applied Statistics, 3, 731-763. doi: 10.1214/09-AOAS235. On ArXiv: http://arxiv.org/abs/0908.2862. Supplementary information. Alignment of multiple configurations using hierarchical models by Yann Ruffieux and Peter J. Green (2009). Journal of Computational and Graphical Statistics, 18, 756-773. doi:10.1198/jcgs.2009.07048. Inference from genome-wide association studies using a novel Markov model by Fay J. Hosking, Jonathan A. C. Sterne, George Davey Smith, and Peter J. Green (2008). Genetic Epidemiology 32, 497-504 (published online 26 March 2008). doi: 10.1002/gepi.20322. A Bayesian hierarchical model for photometric redshifts by Merrilee Hurn, Peter J. Green and Fahimah Al-Awadhi (2007), revised version appears in Applied Statistics, 57, 487-504 (2008). Bayesian refinement of protein functional site matching by Kanti V Mardia, Vysaul B Nyirongo, Peter J Green, Nicola D Gold and David R Westhead (2007), BMC Bioinformatics, 8:257; doi: 10.1186/1471-2105-8-257. Bayesian model-based clustering procedures by John W. Lau and Peter J. Green (2007), (2.7Mb). Journal of Computational and Graphical Statistics, 16, 526-558 (2007). Smaller version (1.1Mb, omitting some figures). Bayesian alignment using hierarchical models, with applications in protein bioinformatics, by P. J. Green and K. V. Mardia (2006). Biometrika 93, 235-254 (2006). Abstract. doi:10.1093/biomet/93.2.235 . Archived at arxiv.org/abs/math.ST/0503712. Supplementary information. Further hidden Markov model cryptanalysis by P.J. Green, R. Noad, and N.P. Smart (2005). In Cryptographic Hardware and Embedded Systems - CHES 2005, Lecture Notes in Computer Science, 3659, 61-74. doi:10.1007/11545262_5. Structure and uncertainty, lecture given at Royal Society, 10 July 2003; Powerpoint show. Contribution to discussion of paper by Spiegelhalter, Best, Carlin and van der Linde on Bayesian measures of model complexity and fit. Contribution to discussion of paper by Lauritzen and Richardson on Chain graph models and their causal interpretations. Bayesian variable selection and the Swendsen-Wang algorithm (with David Nott). Journal of Computational and Graphical Statistics, 13, 141-157 (2004). Abstract. Model determination and the analysis of heterogeneity in complex biomedical systems (with Matthew Hodgson). Invited lecture at the International Biometrics Congress, Cape Town, December 1998. Decomposable graphical Gaussian model determination (with Paolo Giudici). Revised February 1999. Abstract. Biometrika, 86, 785-801 (1999). Boundary detection through dynamic polygons (with Antonio Pievatolo (Milano)). Abstract. (Revision of an earlier technical report entitled "Object recognition through dynamic polygons"). Journal of the Royal Statistical Society, B, 60, 609-626 (1998). Markov chain Monte Carlo in image analysis, chapter 21 (pp. 381--399) of Markov chain Monte Carlo in Practice, W. Gilks, S. Richardson and D. J. Spiegelhalter, eds. Chapman and Hall, London (1996). Bayesian analysis of heterogeneity, using mixtures and related models ; lecture given at the 2000 conference of the Statistical Society of Canada, Ottawa, June 2000. Mixture models in measurement error problems, with reference to epidemiological studies (with Sylvia Richardson, Laurent Leblond and Isabelle Jaussent). J. Roy. Statist. Soc. A, 165, 549-566 (2002). Contribution to discussion of paper by Besag and Higdon on Bayesian analysis of agricultural field experiments, (with Carmen Fernández). Bayesian analysis of factorial experiments by mixture modelling (with Agostino Nobile); Abstract. Biometrika, 87, 15-35 (2000). Program for this analysis - Nmix: Program for Bayesian analysis of univariate normal mixtures by MCMC. Bayesian modelling of heterogeneity: algorithms, mixture models and applications: invited lecture at ISI satellite meeting, Rostock, September 1997, by Sylvia Richardson: gzipped A4 sized PostScript. Bayesian mixture estimation: invited lectures at ISBA, Istanbul, August 1997, by Peter Green and Sylvia Richardson: part 1 and part 2 as gzipped A4 sized PostScript. Exact sampling for Bayesian inference: towards general purpose algorithms (with Duncan Murdoch (Queens University, Canada)). Presented as an invited paper at the 6th Valencia International Meeting on Bayesian Statistics, Alcossebre, Spain, May/June 1998. In Bayesian Statistics 6, ed. J. M Bernardo, et al., pp.301-321, Oxford University Press, 1998. Abstract. Exact sampling from a continuous state space (with Duncan Murdoch (Queens University, Canada)). Scandinavian Journal of Statistics, 25, 483-502 (1998). Abstract. Illustrations of non-monotone coupling from the past: all (pdf), or separately: random walk Metropolis bisection coupling; bounded CFTP coupling; rejection coupling; partitioned multigamma coupling. Free energy biased sampling and mixture modelling, discussion of paper by Nicolas Chopin and Pierre Jacob, Valencia 9. Reversible jump MCMC, by David Hastie and Peter Green. June 2009. Trans-dimensional Markov chain Monte Carlo, chapter for the book on Highly Structured Stochastic Systems, with discussion by Simon Godsill and Juha Heikkinen, to be published by OUP in 2003, in PostScript. and PDF. Early version as presented at a workshop in Luminy in 2000. Program for the automated RJ sampler in this paper - AutoRJ: Program for reversible jump MCMC. Contribution to discussion of paper by Brooks, Giudici and Roberts on Efficient construction of reversible jump MCMC proposal distributions [PDF]. Delayed rejection in reversible jump Metropolis-Hastings (with Antonietta Mira (Varese)) [PS]. Abstract. MCMC in action: a tutorial given at ISI, Helsinki, August 1999: handout in PostScript and PDF. MCMC in statistics - interpretations and explanations: closing lecture given at RSS 98 conference, Strathclyde, September 1998 [PS]. Tutorial lectures on MCMC given at HSSS/TMR summer school on MCMC, Rebild, August 1998 [PS]. Tutorial lectures on MCMC given at WRASS workshop and tutorial, Warwick, July 1998 [PS]. Statistical problems where the parameter dimension varies: MCMC theory and some applications. Handout for an IMS special invited lecture, Memphis, March 1997. gzipped A4 size PostScript; gzipped Letter size PostScript. Model choice with MCMC on product spaces withot using pseudo-priors, by Peter Green and Tony O'Hagan. Nottingham University technical report. Reversible jump Markov chain Monte Carlo computation and Bayesian model determination, Biometrika, 82, 711-732 (1995). Abstract. Program for the change point analysis in this paper - Cpt: Program for Bayesian multiple change point analysis for point processes. Bayesian computation and stochastic systems, (with J. Besag, D. Higdon and K. Mengersen), Statistical Science, 10, 3-41. With discussion (41-59) and rejoinder (59-66) (1995). 4.5Mb. Discussion. Abstract. Overview: Monte Carlo methods. In Complex Stochastic Systems and Engineering, (ed. D. M. Titterington), IMA Conference Series No. 54, 183--190. Oxford Univ. Press (1995). Contribution to discussion of paper by Hastie and Tibshirani on Bayesian backfitting, to appear in Statistical Science (scheduled August 2000). Semiparametric quantile regression using the gamma distribution (with A. Lopatatzidis). Abstract. Contribution to discussion of paper by Verbyla, et. al. on The analysis of designed experiments and longitudinal data by using smoothing splines (Applied Statistics, 48, 269-311, (1999)). Penalized pseudolikelihood inference in spatial interaction models with covariates (with Arnoldo Frigessi and Fabio Divino). To appear in the Scandinavian Journal of Statistics. Penalized likelihood. Encyclopaedia of Statistical Sciences, update volume, 3, 578-586 (1999). Abstract. Nonparametric regression and generalized linear models: a roughness penalty approach (with B. W. Silverman), x+182 pp., Chapman and Hall, London (1994). Errata. Handout on penalised likelihood in nonstandard regression problems, used at the Exeter (IWSM, July 1994) and Toronto (IMS, August 1994) conferences. Penalized likelihood for general semi-parametric regression models. International Statistical Review, 55, 245-259 (1987). Obituary : Julian Besag, FRS, 1945-2010. by Diggle, Peter and Green, P J (2011). Journal of the Royal Statistical Society, Series A, 174 (2). pp. 502-504. Diversities of gifts, but the same spirit (RSS Presidential address, 18 June 2003); Powerpoint show; Abstract; Journal of the Royal Statistical Society (D), 52, 423-438 (2003). Spatial processes and statistical modelling, lecture given at IMS/ISBA meeting, Puerto Rico, 24 July 2003. Bayesian network management (with Ayalvadi Ganesh, Neil O'Connell and Susan Pitts). Queueing systems, 28, 267-282 (1998). Bayesian reconstructions from emission tomography data using a modified EM algorithm. IEEE Transactions on Medical Imaging, 9, 84-93, (1990). Recursive methods in image processing, by P. J. Green and D. M. Titterington, Bulletin of the ISI, LII-4, 51-67 (discussion pp. 95-102), (1988). (Invited paper 22.1, Tokyo session of the ISI). Iteratively Reweighted Least Squares for Maximum Likelihood Estimation, and some Robust and Resistant Alternatives. Read to the Royal Statistical Society, on 7 December 1983 Journal of the Royal Statistical Society, B, 46, 149-192 (1984). How can I weigh my head? Contribution to the Guardian Notes and Queries column. Reprinted 17 November 2004, with 'Michael Watson' replaced by 'Mike Tyson'.